It shouldn’t come as much of a surprise. 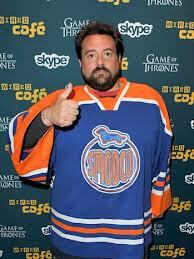 After all, Kevin Smith has been turning out films without the help of crowd funding for going on 20 years. So why has the poster child of Indie-gone-Hollywood decided not to take a bite out of that juicy crowd funding apple? Peek below the fold to find out. I’ll confess, it does my heart good to hear that come out of Kevin Smith’s mouth. As a man who fought tooth and nail to get his films made, he recognizes that there is a time in one’s career when its acceptable to look for a helping hand, and for him, that time has sailed. That said, I think it’s a shame that this is newsworthy, but with the recent spate of high profile Hollywood types getting in on the crowd funding, I’m not surprised. Reading this piece, I was reminded of Hollywood blogger Ken Levine’s post that kicked up a storm of controversy in May. In it, he suggests we give our funds not to the Zach Braffs who turn to the crowd for support (nor the James Francos, I’d hasten to add…), but to the young Kevin Smiths, looking for a break. I’m glad Smith agrees. Today is a momentous day. Completely unexpectedly I received my very first physical Kickstarter reward! Whoohoo! Now, that isn’t to say that I haven’t received digital Kickstarter rewards. On the contrary, I’m fairly happy with my ROI on projects that I’ve backed at the digital level, but this is the first time I’ve had a totally unexpected package waiting for me when I got home. So what was the product, you ask? If I saw a company that I knew was struggling, it wouldn’t bother me if they were asking for help. It’s really nice to see people that don’t actually need the money and help, resisting the urge to ask for it anyway.